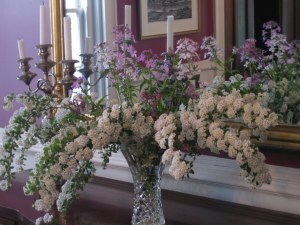 For a dinner party last weekend, I draped several lengths of spirea from a clear, crystal vase. Above these, stems of wild, lavender and white phlox, gathered from the woods, and a few stems of purple lilacs were inserted. Unfortunately, the arrangement was too large for the dining table. However it did make a nice display for the mahogany sideboard (click photo to enlarge). Culturally speaking, vanhouttei takes care of itself. Here, located in full sun between forsythia and barberry shrubs, and planted in average soil that is watered exclusively by Nature, it has achieved a height of 6 feet, and about 8 feet in width. You can, of course, prune immediately after flowering to restrict size. But I think spirea looks far better if permitted room to grow into a huge, arching beauty. It is hardy in zones 4-8. For a stunning spring show, scented flowers for the house, and self-sustaining culture, you will find the Bridal Wreath spirea can’t be beat. If I didn’t already have three of these enduring shrubs at A Garden for the House, I’d certainly buy them — immediately. 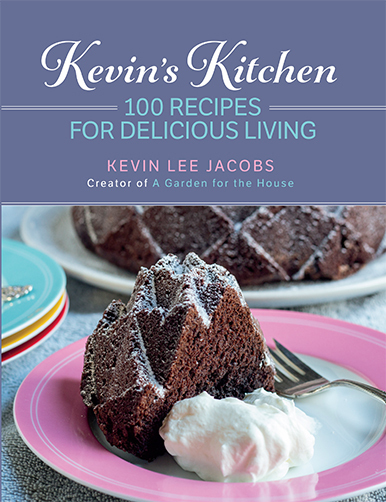 Don’t miss a thing at A Garden for the House…sign up for Kevin’s weekly newsletter. I have Bridal Wreath, too, and LOVE it. It needs no care whatsoever. I only wish it had a longer flowering period. Kevin, a friend of mine planted a row of bridal wreath along a split rail fence. It makes a magnificent hedge! Sheila, Katreader – With temperatures dropping to 29 degrees tonight, I predict a longer-than-usual bloom period for my spirea! Phoebe – Yes, great for a deciduous hedge, especially where there is plenty of room. Kevin, I have this spirea in my front yard too. I think the birds like it as much as me. The little ones frolic in its branches even when the shrub is leafless in winter time. Beautiful arrangement, Kevin! I love that you included native flowers in the mix. I always hesitate to pull up wild phlox, it's so beautiful and fragrant when in bloom. 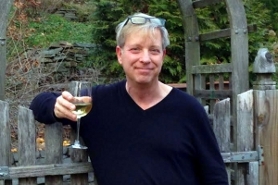 Justin – Thanks for the reminder about birds! Here, the sparrows and house finches hop from forsythia to spirea to barberry; they must feel protected in the twiggy growth. Adele – So glad there is another native phlox enthusiast around here! Are modern weddings ever scheduled to coincide with the blooming of spirea? And does the bride (or her maids) wear it as a head wreath? Just curious. Andrew – I don't know about modern weddings, but the wreath was definitely worn by brides during medieval times. It was, of course, a symbol of virginity. Bridal veils grew out of this tradition. “…and the bride wore a stunning garland of spirea.” Now that's something I'd like to read in the society pages of the New York Times! 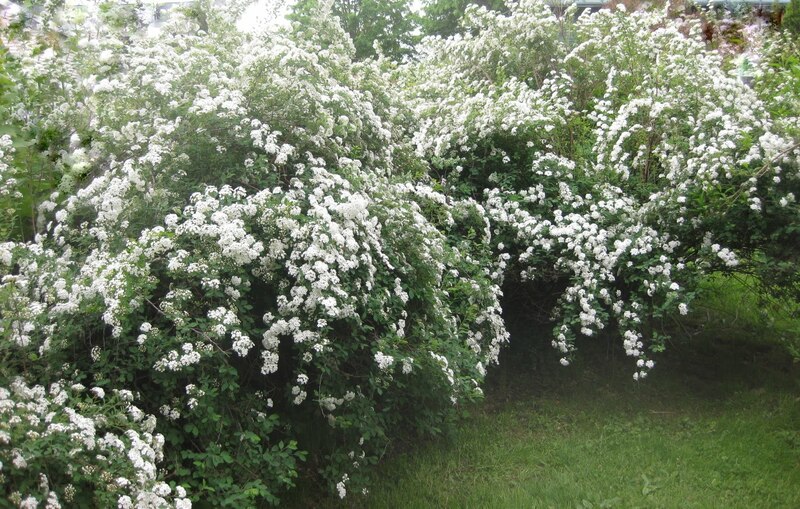 Gregory – Or, “…each groom wore a stunning garland of spirea…”! Looking for some help. I have had my spirea for 5 years and it is looking more spindly this year. the boughs did not hang down this year they are just standing straight up like the ninebark it is planted beside. Do I need to trim it? Does it need more fertilizer? I could use some suggestions – thanks!